Fantastic Beasts and Where to Find Them introduced viewers to the dangerous dark wizard Grindelwald. 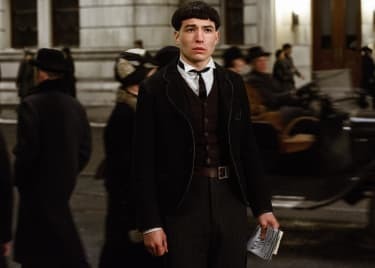 Hailing from Germany, Grindelwald was portrayed as a powerful sorcerer who sought to possess the powers of an Obscurial – a magical child who has repressed their power, which manifests inside the child as a dangerous force . Unfortunately for the Dark Wizard, his plans were foiled by Newt Scamander and friends. Grindelwald’s tale, however, is far from over. He may have been captured, but it’s clear that he will escape from American custody. 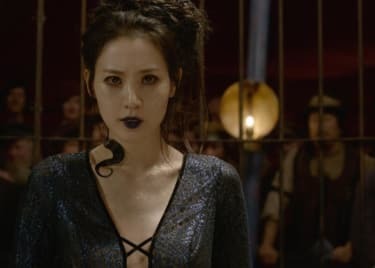 The sequel to Fantastic Beasts bears the ominous title The Crimes of Grindelwald, promising that the villain will stand at the center of the plot. So who is Grindelwald? Here’s everything you need to know about the chilling villain. There’s a strange sense in which Harry Potter and the Deathly Hallows was an origin story for Albus Dumbledore. In the aftermath of Dumbledore’s tragic death, Harry wound up fascinated by his mentor’s history. Harry swiftly learned that Dumbledore had not been a paragon of virtue all his life. Dumbledore’s teenage years were bound up in an alliance with Gellert Grindelwald. Aberforth Dumbledore intervened, challenging the two. The argument became a fight, and Grindelwald lost control. What followed was an horrific three-way wizard’s duel, and at the end, Ariana Dumbledore lay dead. Grindelwald fled, leaving a broken Dumbledore family in his wake. In the Harry Potter mythology, Grindelwald clearly represents the rise of fascism in Europe. He rose to power through the ’20s and ’30s, but was ultimately defeated in 1945. Like the Nazis, Grindelwald claimed an ancient symbol as his own; in his case, the sign of the Deathly Hallows. In an interview with The Leaky Cauldron, Rowling admitted that the timing of Grindelwald’s rise and fall is no coincidence. At the time, Rowling would go little further than to admit she believed events in the Muggle world and the wizarding world were feeding into one another. 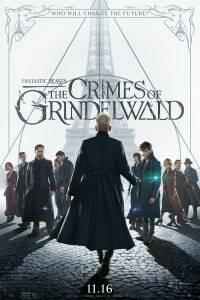 Given the second film bears the title The Crimes of Grindelwald, the horror of his brutal ideology is about to be revealed. Ironically, though, fans already know how Grindelwald’s story will end. The Fantastic Beasts series of films is set to end in 1945, the year of Dumbledore’s famous duel with Grindelwald. Claimed by many to be the greatest wizarding duel of all time, this duel (spoilers ahead) will see Dumbledore prevail against his foe and bring an end to the violence. Albus will wind up owner of the Elder Wand, one of the Deathly Hallows, keeping it safe lest it be pursued by other dark wizards. As for Grindelwald, he would be put on trial and sentenced to stay at the Nurmengard Prison in Germany. He’d stay there for decades, until eventually hunted down by Voldemort himself. Proving that he had changed by the end, Grindelwald attempted to hide the location of the Elder Wand from Voldemort. Unfortunately, he proved unsuccessful. This is the problem with telling a story that’s set in the past; the ending is already set in stone. That said, J. K. Rowling is a master storyteller. There’s no way she hasn’t got some serious twists planned to take viewers by surprise. Eddie RedmayneJohnny DeppJude LawKatherine WaterstonDavid YatesAdventureFantasySequelFantastic BeastsWarner Bros.